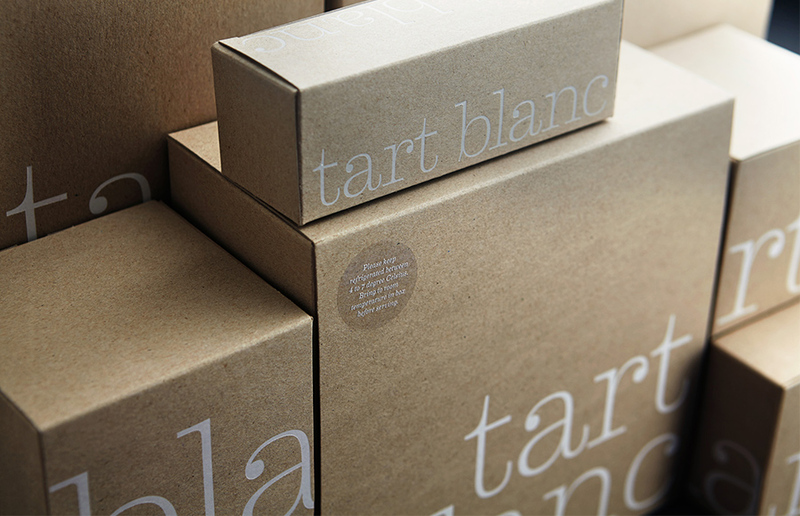 Tart Blanc is an artisanal bakery in Singapore specialising in beautiful tarts featuring inventive flavour and texture combinations. 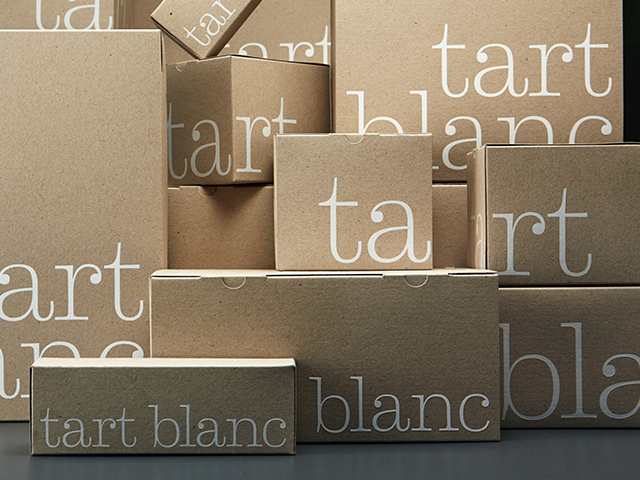 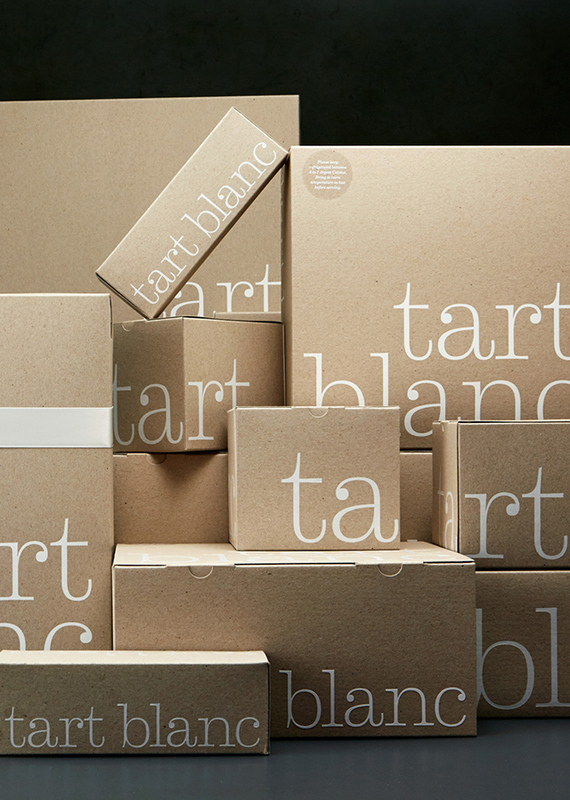 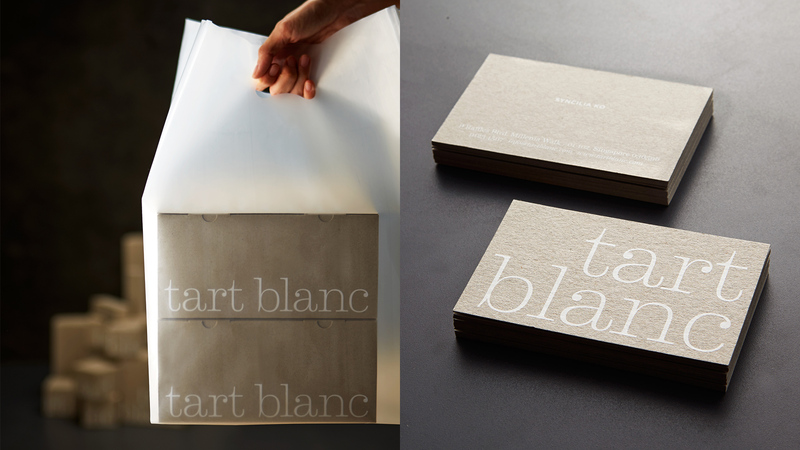 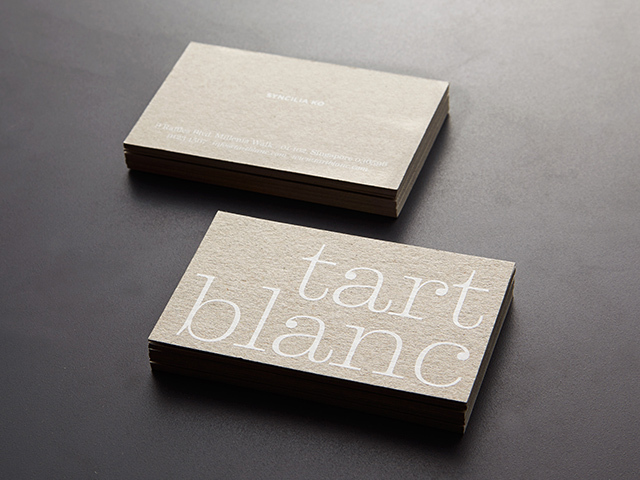 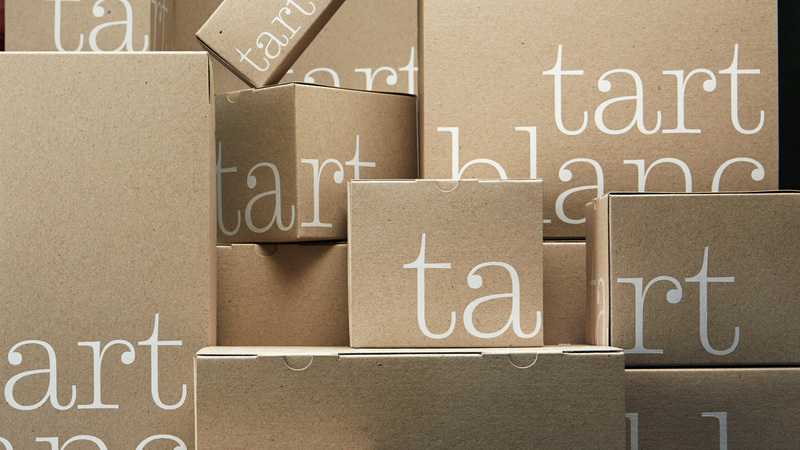 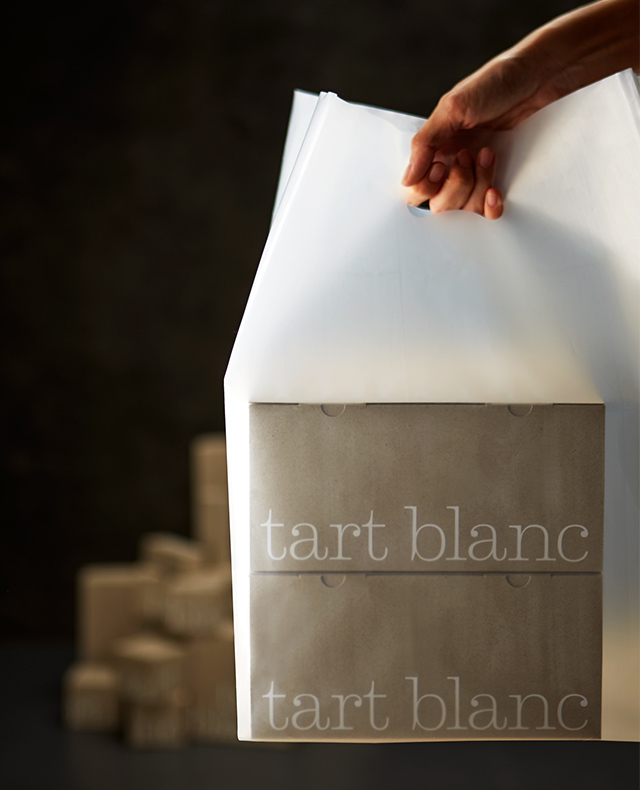 To underline the “tartistry” of the baked goods, we came up with the name “tart blanc” which is inspired by “carte blanche”, which means blank paper and expresses the idea that anything is possible. 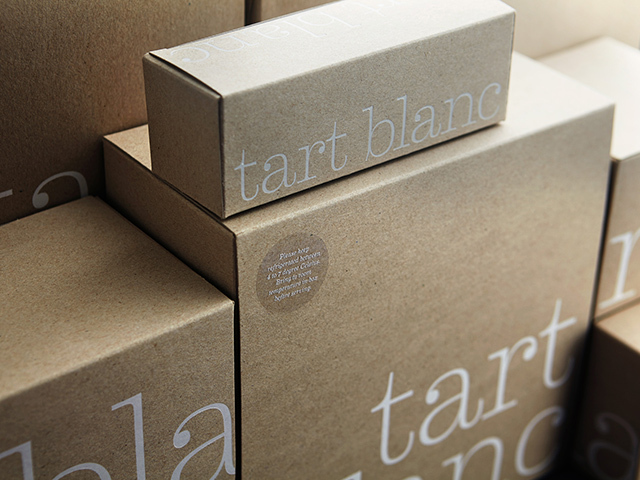 For the packaging and namecards, we chose an unusual and raw grey substrate as an alternative to the ubiquitous kraft to hint at the human-made, small batch nature of the bakery. 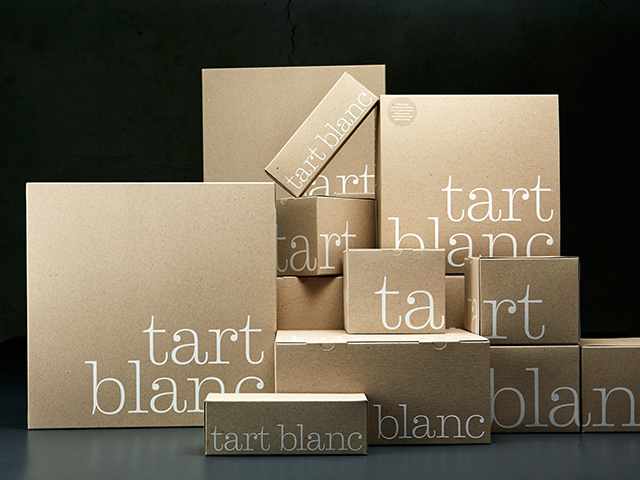 It took us a very long time to convince the box maker to make the boxes in this material but we think that the results are worth every minute trying to get it right. 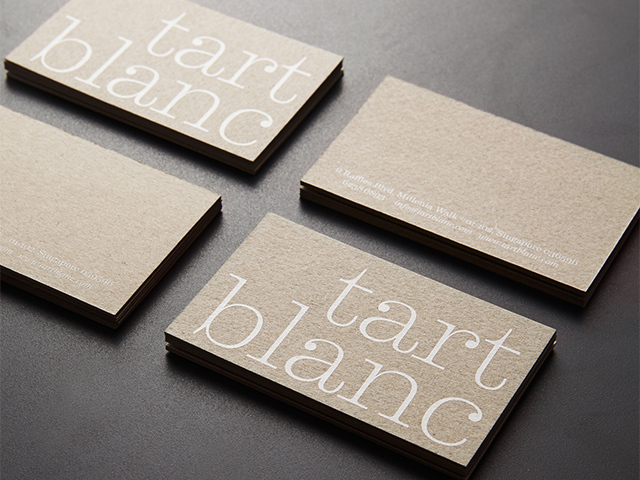 Instead of rely­ing on overly orna­men­tal scripts emblem­atic of the French, Amer­i­can, or Euro­pean aesthetic — which would not have been authen­tic for them — the client wanted some­thing clean and neu­tral. 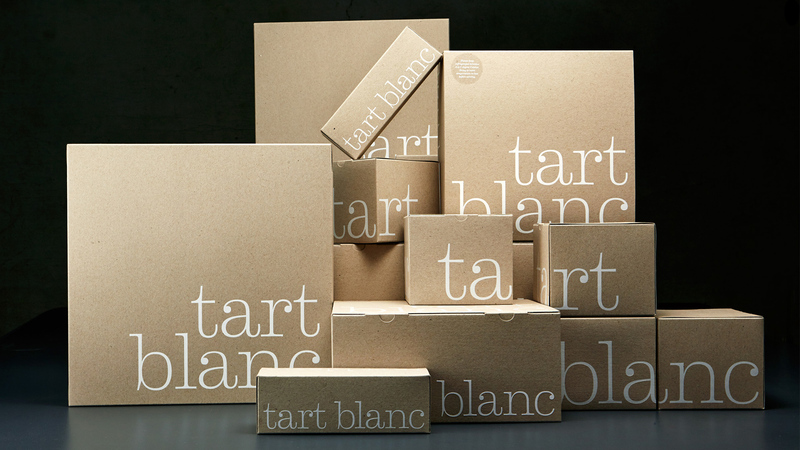 They are all about flavour com­bi­na­tion, exper­i­men­ta­tion, and inven­tion and wanted a blank slate to show­case their creations.